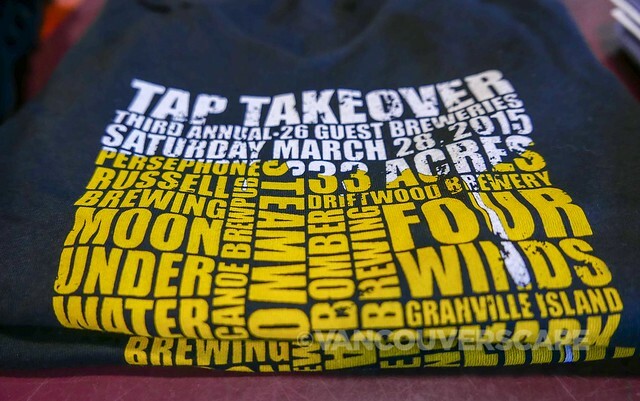 The rain-soaked weather couldn’t stop Squamish and Vancouver craft beer lovers from heading to Howe Sound Brewing for the Third Annual Tap Takeover last Saturday. 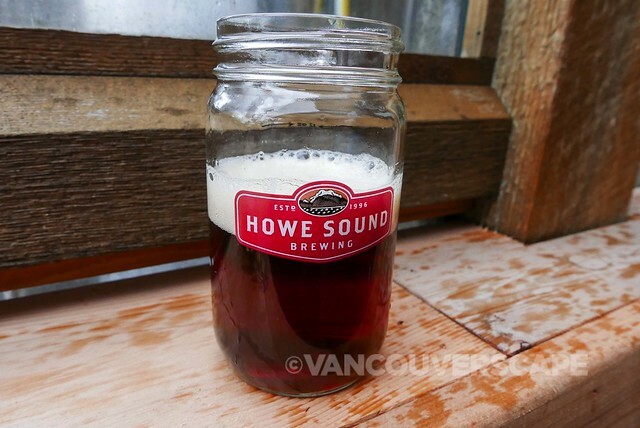 From 11 am, guests were able to purchase a $35 ticket that included a Howe Sound-branded mason jar filled with eight tasting tokens. 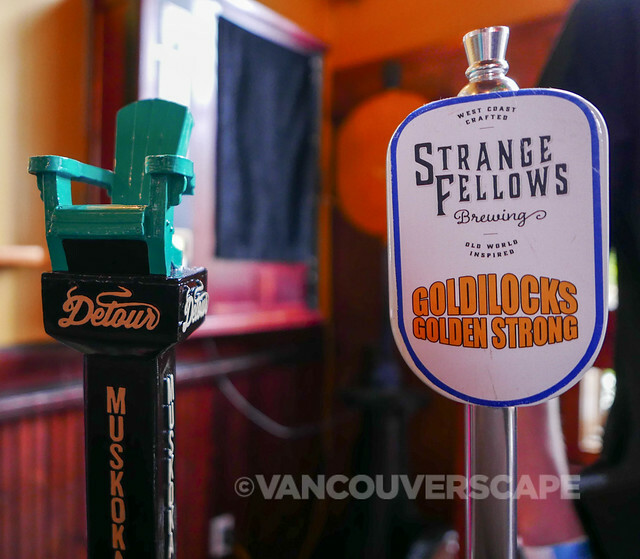 With the exception of Ontario’s Muskoka Brewing, all 28 of HSB’s taps were filled with BC brewed pours specially created for this very popular event. 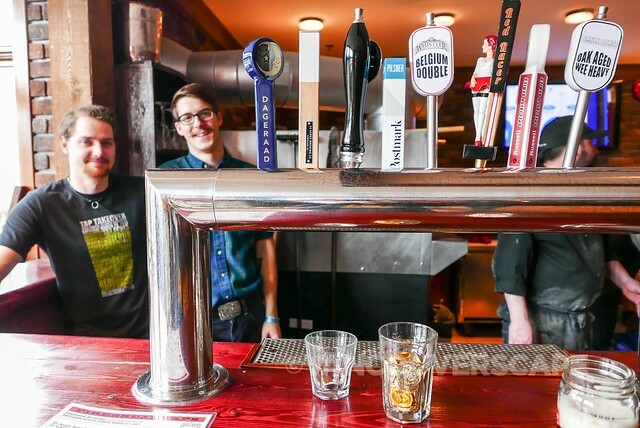 The taps were organized into four areas: Entry area inside the bar, main taps at the back, on the patio and inside adjacent Firebread Restaurant. 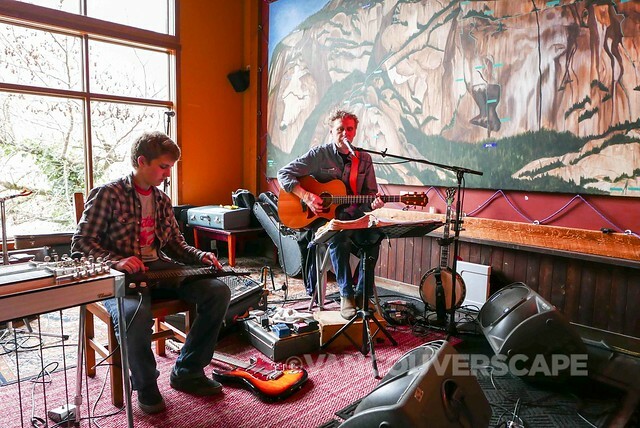 Michael Kilby and Cam Salay took to the stage in the afternoon, with beautiful artwork featuring the Stawamus Chief as backdrop. Word spread quickly as several taps (including Moon Under Water’s Hip as Funk) were tapped out before evening. 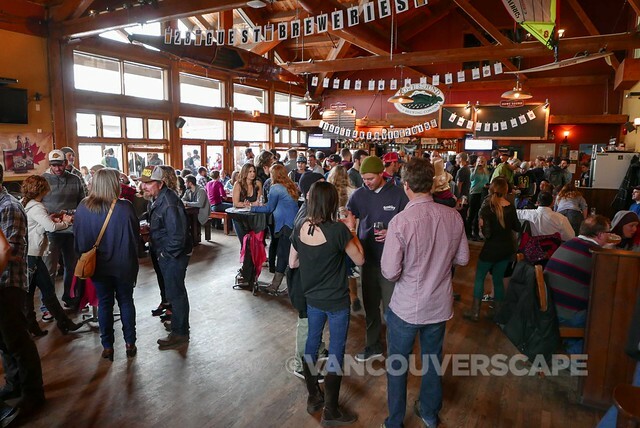 The entry taps area closed into the evening as the crowd got larger, listening to live entertainment by Vancouver folk-rock band The River and The Road while enjoying some of the province’s finest brews. Between the two of us, we were able to sample 13 of the 28 beers, finding favourites in Bomber Brewing’s Marzen, with a lovely hop bitterness and sweet malty character, and Four Winds Brewing’s Vexillum Imperial IPA, a 9% IPA with grapefruit and melon tastes offering a balanced – and not overly bitter – tasting experience. Driftwood Brewing’s New Growth Pale Ale (a session ale brewed using Satori Cedar Ranch’s Centennial and Newport hops) was another fave pour. 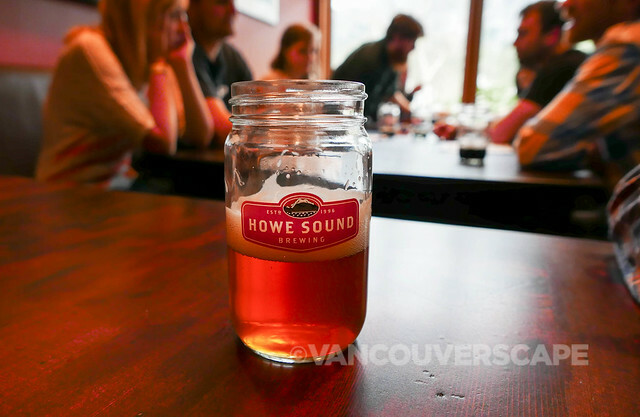 When you’re up this way, don’t miss Howe Sound’s Total Eclipse of the Hop, a dry-hopped (Chinook and Columbus) Imperial IPA containing gin-soaked oak spirals that are then aged with the beer. This was married with a plate of chicken and seafood paella (as part of the brewmaster’s dinner we were invited to), a smooth pairing, taste-wise! 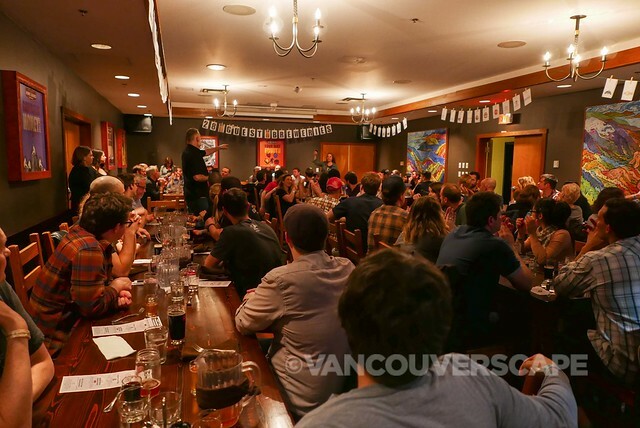 Thanks to the great folks at Howe Sound Brewing for inviting us out to enjoy the day as well as the lively four-course, beer-paired brewmaster’s dinner that took place in the back room. 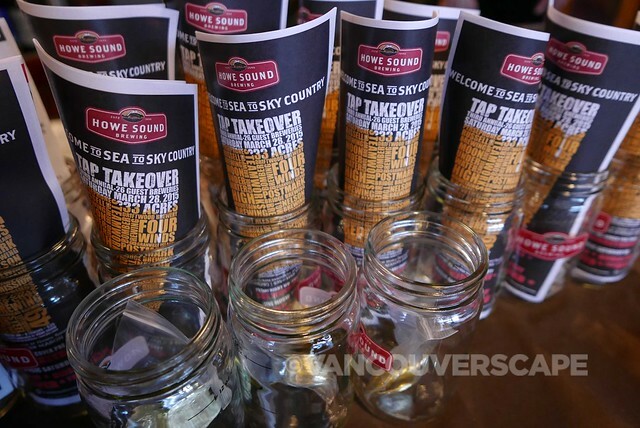 More of our Tap Takeover photos can be found on our Flickr set.